Reblogging this from March, 2010 because on MTP Mike Pence and then Hugh Hewitt insulted this effort to help Haiti. 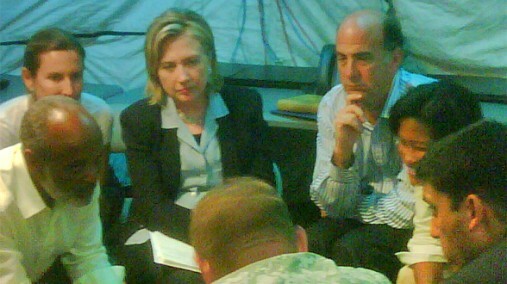 Leaders from all over the world – government and NGOs – have convened to assist earthquake-stricken Haiti. 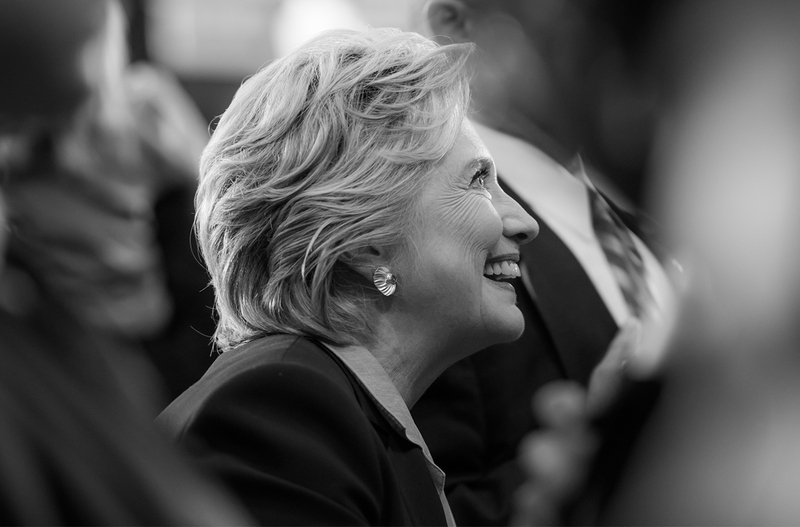 SECRETARY CLINTON: Thank you very much, Secretary General, and thank you for your leadership and your personal commitment to this international endeavor. President Preval, to you and the members of your government, we thank you for the extraordinary work that you have done leading up to this point. 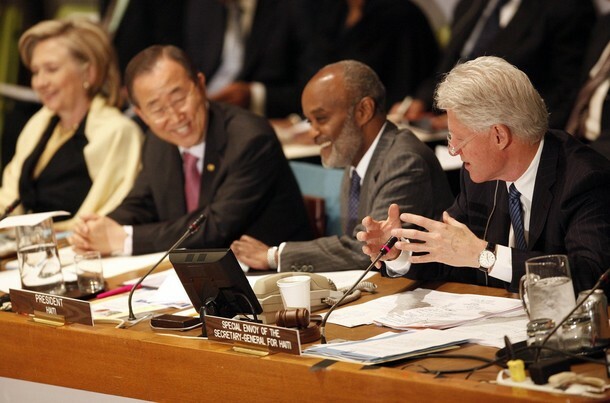 To former President Clinton, with whom I first went to Haiti many years ago about two months after we were married, thank you for taking on another assignment from the Secretary General. And to all of the countries and international institutions represented here, thank you. Thank you for the immediate response to the overwhelming catastrophe that afflicted the Haitian people and thank you for your continuing commitment. Some people wonder, “Why Haiti? Why this great outpouring of international humanitarian concern and commitment to Haiti’s future? Why is Haiti’s fate of such consequence to the region and the world that it deserves sustained help? Why should we hope that this time, with our collective assistance, Haiti can achieve a better future?” These are questions that deserve answers and I believe that this conference will begin to do so. The humanitarian need, we know, is great. Therefore, as fellow human beings, we respond from a position of conscience and morality to help those who, but for the grace of God, we could be in a world where natural disasters are often unpredictable, inflicting great costs. 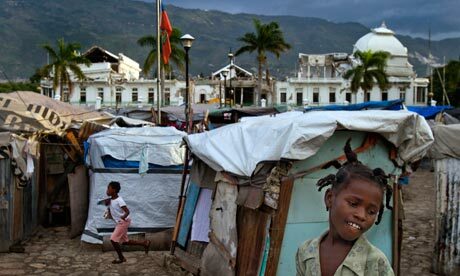 Haiti was a country of 9 million people before the earthquake. Today, more than a quarter of a million of those people have died. More than a million are homeless. Hundreds of thousands live in temporary camps without enough food or sufficient access to sanitation. Nearly every government agency has been destroyed along with universities, hospitals, and primary schools, which we know are the foundations to a nation’s long-term progress. Close to a million young people were preparing to enter the job market within five years. Now their opportunities have crumbled while the need for jobs has multiplied. There are two paths that lie before us. If Haiti can build safe homes, its citizens can escape many of the dangers they now face and return to more normal lives. If Haiti can realize broad-based, sustainable economic growth, it can create opportunity across the country beyond Port-au-Prince so Haitians don’t have to move to their capital or leave their country to find work. If Haiti can build strong health and education systems, it can give its people the tools they need to contribute to their nation’s progress and fulfill their own God-given potentials. If Haiti can create strong, transparent, accountable institutions, it can establish the credibility, trust, and stability its people have long-deserved. And if Haiti can do all of those things with our help, it will become an engine for progress and prosperity generating opportunity and fostering greater stability for itself and for countries throughout the hemisphere and beyond. But there is another path that Haiti could take, a path that demands far less of Haiti and far less of us. If the effort to rebuild is slow or insufficient, if it is marked by conflict, lack of coordination, or lack of transparency, then the challenges that have plagued Haiti for years could erupt with regional and global consequences. Before the earthquake, migration drained Haiti of many talented citizens, many of whom live in our country. If new jobs and opportunity do not emerge, even more people will leave. Before the earthquake, quality healthcare was a challenge for Haiti. Now, it is needed even more urgently. Haiti has the highest rate of tuberculosis in the hemisphere, the highest rate of HIV, the highest rates of infant, child, and maternal mortality, one of the highest rates of child malnutrition. And with the public health system now shattered, those numbers will climb. The lack of sanitation services could cause outbreaks of lethal illnesses. And the lack of reliable medical services could give rise to new drug-resistant strains of disease that will soon cross borders. Before the earthquake, hunger was a problem for Haiti. Years of deforestation had stripped the land of its rich topsoil and people struggled to grow or purchase enough food to feed their families. The riots over food that broke out in 2008 toppled Haiti’s government. Now, food is even more scarce, and people more desperate. Before the earthquake, security was a challenge for Haiti, and a United Nations peacekeeping mission, MINUSTAH, helped promote the rule of law. 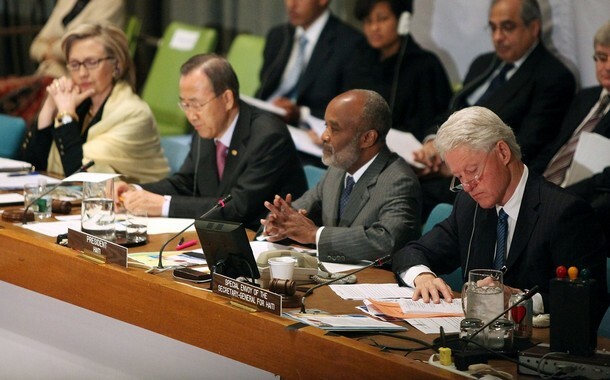 Now the dedicated UN workers in Haiti have suffered terrible losses. So have the Haitian National Police, which were building their ranks and their capacity. With so much destruction and dislocation, security is even more tenuous. Drug trafficking is a half a billion dollar a year industry in Haiti. It thrives on political and social instability. 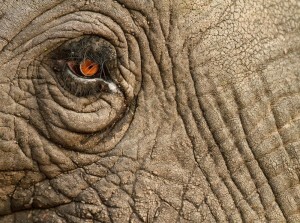 Trafficking in human beings is also rampant. Tens of thousands of children are trafficked in Haiti every year, and now even more are vulnerable. Now, each of these problems directly affects the people of Haiti, but they indirectly affect us all. And if they worsen, it is not only the people of Haiti who will suffer. Yet I have great confidence in the resilience of the people of Haiti. Their history has tested them and now they are being tested again. So are Haiti’s leaders, in whom I also have great confidence. So we are called to do better than we have in the past. Many countries here have helped Haiti in the past. Many NGOs have helped Haiti in the past. We cannot do what we’ve done before. 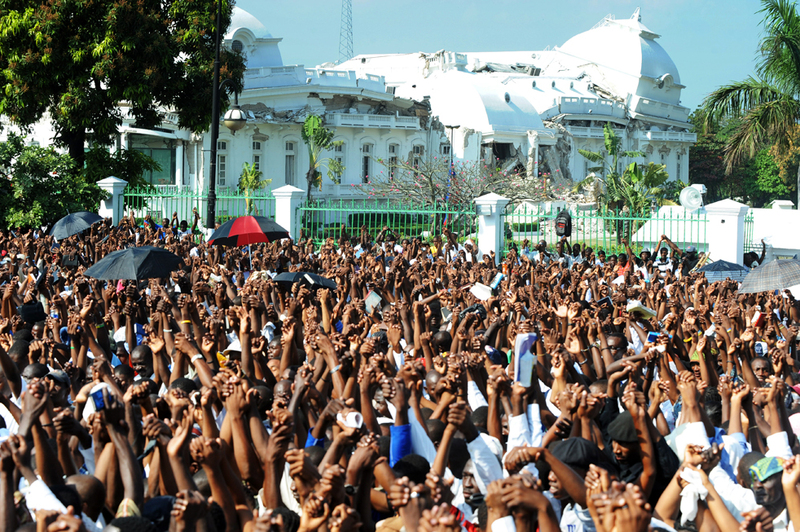 The leaders of Haiti must take responsibility for their country’s reconstruction. They must make the tough decisions that guide a strong, accountable, and transparent recovery. And that is what they are starting to do with the creation of a new mechanism that provides coordination and consultation so aid can be directed where it is most needed. And we in the global community, we must also do things differently. It will be tempting to fall back on old habits – to work around the government rather than to work with them as partners, or to fund a scattered array of well-meaning projects rather than making the deeper, long-term investments that Haiti needs now. 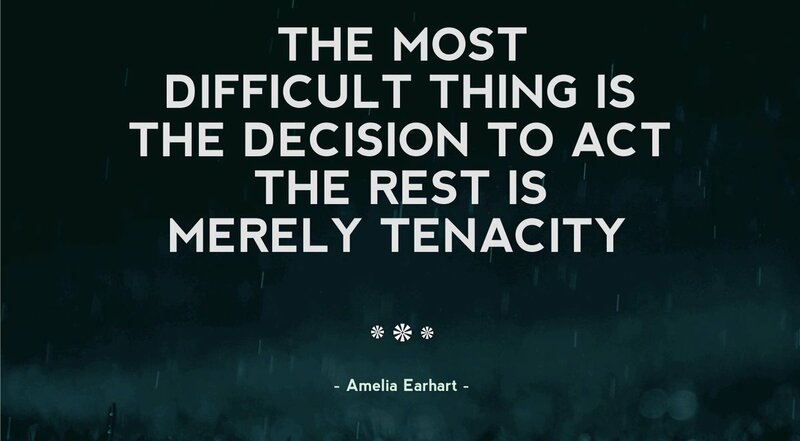 We cannot retreat to failed strategies. I know we’ve heard these imperatives before – the need to coordinate our aid, hold ourselves accountable, share our knowledge, track results. But now, we cannot just declare our intentions. We have to follow through and put them into practice. Therefore, this is not only a conference about what financially we pledge to Haiti. We also have to pledge our best efforts to do better ourselves – to offer our support in a smarter way, a more effective way that produces real results for the people of Haiti. So let us say here, with one voice, we will pass this test for us. To that end, the United States pledges $1.15 billion for Haiti’s long-term recovery and reconstruction. This money will go toward supporting the Government of Haiti’s plan to strengthen agriculture, energy, health, security, and governance. We are committed to working with the people and organizations throughout Haiti, including civil society groups, private businesses, NGOs, and citizens. And I’m very glad to see so many of them represented here today. We will also be looking for ways to engage our Haitian diaspora. Haitian Americans have much to contribute to this effort. And we will seek specifically to empower the women of Haiti. I’ve said this so many times that I know I sound like a broken record, but investing in women is the best investment we can make in any country. And investing in the Haitian women will fuel the long-term economic recovery and progress, not only for them, but for their families. Over the years, all of our countries have learned many lessons, particularly from the tsunami that the United Nations was instrumental in leading the response to. Now, we must put those lessons to work in Haiti. I’m very excited and very committed on behalf of President Obama, the Government of the United States, and the people of the United States to help Haiti and to help the leaders of Haiti lead a recovery effort worthy of their highest hopes. 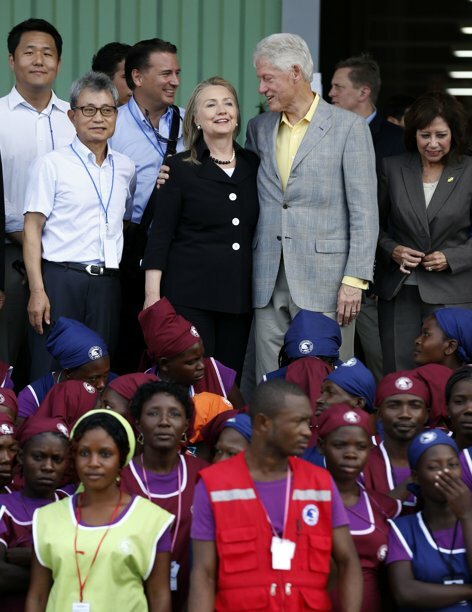 Hmmmmm… I thought helping Haiti was a good thing! Did you think so too? 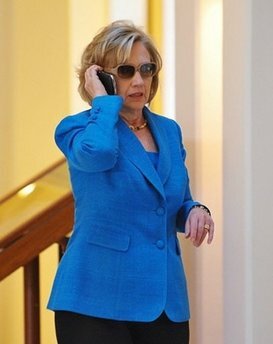 Why not chip in what you can to support our former secretary of state who was kind to a stricken neighbor on our behalf! I lived and worked in Haiti for a good portion of my adult life when I was a very sure-of-myself thirty-something who knew my fellow Americans very well. I knew they would never elect a celebrity to the Oval Office. That was 1980 … and they did. When I lived there, Haiti did not have elections. They had a President for Life. I was reminded of this on my way to and from work twice a day by the huge billboard on the Champs-de-Mars across from the National Palace. Nobody in Haiti voted for him. His dying father made him president while he was still in his teens. Nobody in Haiti ever called him “Baby Doc” – ever! Sometimes American tourists would use the term, and we would gently whisper corrections. You never knew who might be listening. “But I have freedom of speech,” they insisted. Nope, not there you didn’t. When I sensed trouble coming in the early 80s, I left. In 1986 Jean-Claude Duvalier was overthrown and also left. Haiti embarked on the long, rocky road to democracy. 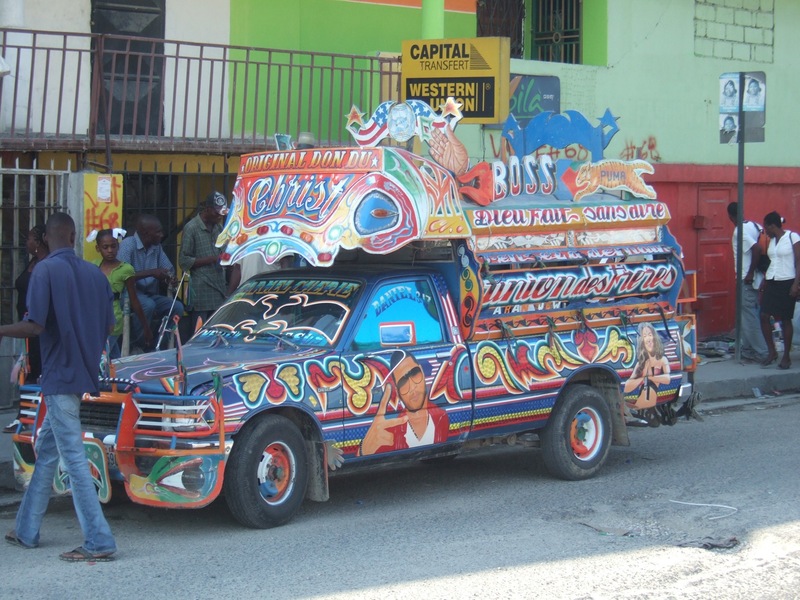 It was and is very bumpy ride – sort of like a ride on a Haitian tap-tap. A president was elected, then overthrown by the army and exiled, and then returned again to fulfill his elected term. N.B. 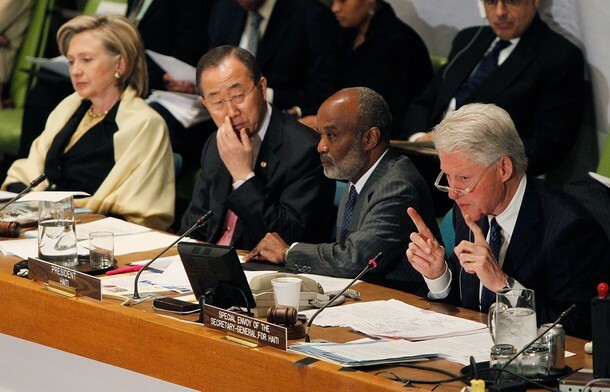 We did not install Aristede, and he was not our “puppet.” President Clinton 42 merely restored the elected Haitian president to his rightful post. Just saying because I have heard that allegation. On January 12, 2010 a catastrophic earthquake killed more than 200,000 people. Colleagues told me, when they heard early estimates of one-tenth that many, that they did not think that toll was possible and must have been an exaggeration. They did not know Haiti, and they did not know Port-au-Prince. 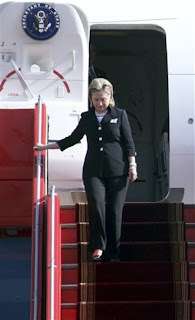 Our Secretary of State at the time, Hillary Clinton was on the ground in Haiti within days, the first foreign official to arrive. The President at the time, Réné Préval, met with her at the airport. 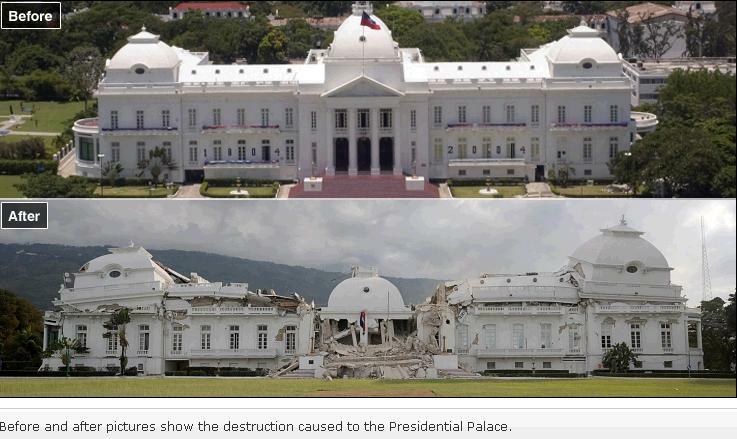 It would take him 12 additional days to finally show his face on the Champs-de-Mars where thousands of homeless Haitians congregated in a makeshift tent city in front of the collapsed National Palace. It was an astounding abdication of leadership. Elections were scheduled for later that year. 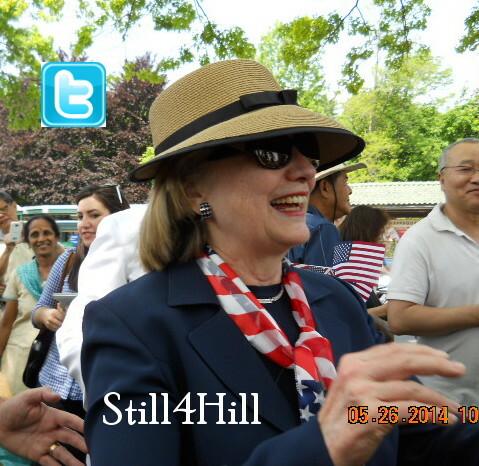 Once again Secretary of State Hillary Clinton paid a visit and met with the three run-off candidates. One of the candidates was a popular performer – a bit of a naughty boy with a distinctive head-style that became shorthand for his candidacy (têt kalé – or “shaved head” meant Martelly during the election season). 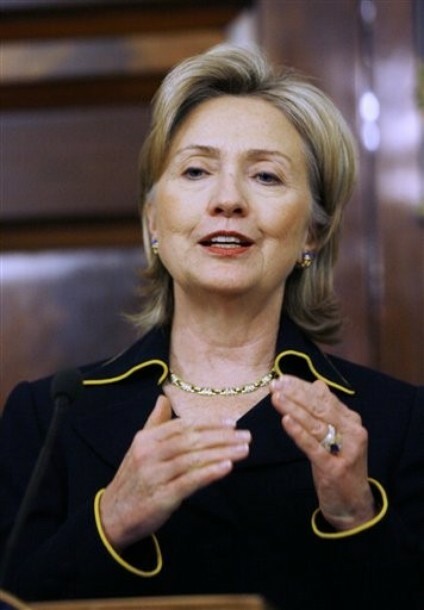 Another was a woman with a Sorbonne degree, experience in government, and former First Lady. Mirlande Manigat was the presidential candidate for the Rally of Progressive National Democrats (RDNP) centre-right party. On October 18, 2010, Dr. Manigat also received the endorsement of the Collectif pour le Renouveau Haïtien (COREH). 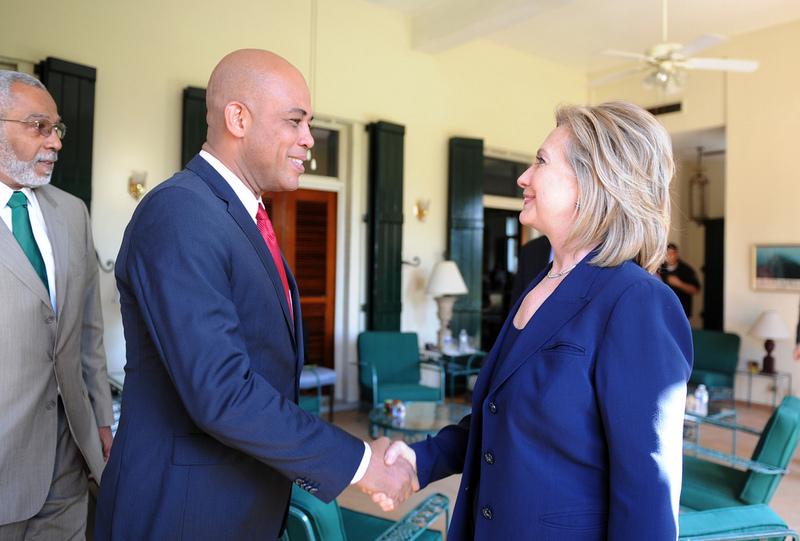 The winner was Michel Martelly with no government credentials or experience. Martelly’s journey to the presidency is documented in the film Sweet Micky for President which is currently available on demand at Showtime. Given my love for and attachment to Haiti, of course I watched. I was unprepared, however, for the parallels that emerged between the 2010 Haitian election and the election season we are experiencing. Our democracy is so much older. Theirs is like a toddler who runs before he can get walking under control. I never thought our presidential campaign events could resemble some of the anger and violence that erupt during third world elections. But then we have to look to the candidates and the way they run their campaigns. That is where the similarities lie. 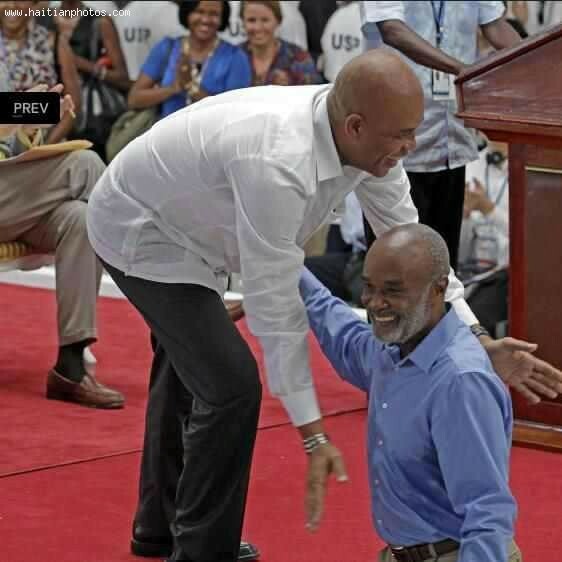 Older and wiser now, I know that yes, Americans absolutely will elect a celebrity for reasons perhaps very similar to those for which Haitians elected “Micky” Martelly. I have learned never to underestimate what Americans will do in the privacy of the voting booth, never to trust what they might do with their precious ballots, never to assume. 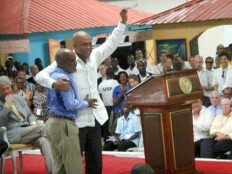 Martelly fell into disfavor with the populace. It was probably inevitable. In January 2015 protesters in the streets angrily demanded his resignation. He resigned office in February of this year. 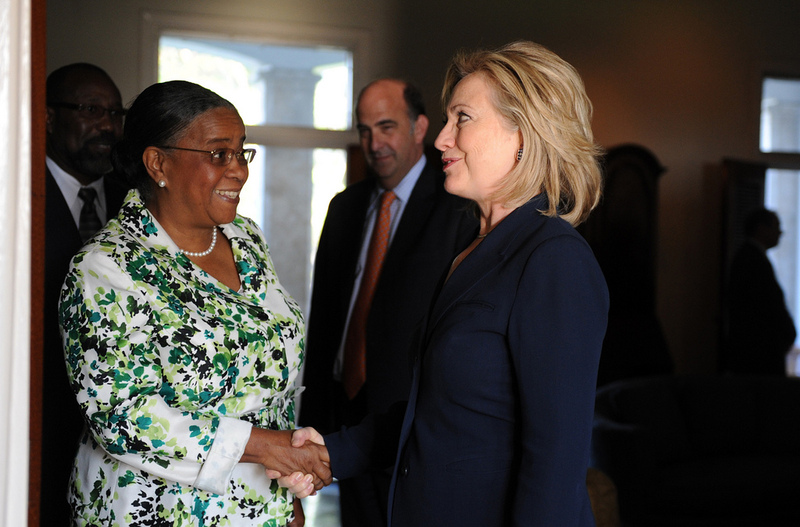 We will never know what Mirlande Manigat might have done as the first woman president of Haiti. I doubt that she will ever make another run. I do know that we have a chance make our decisions based not on celebrity and visibility but rather on issues, plans, and policies. Strutting and fretting your hour on the stage leads to being heard no more, after all, and ending up just a tale told by an idiot signifying nothing. The former president came to the defense of his lovely and hardworking wife in a pre-recorded segment on Meet the Press Sunday morning. Interviewed last Tuesday by David Gregory during CGI America, President Clinton had a few items to straighten out regarding media spins on recent comments by Hillary and the endless right wing emphasis on her handling of the terrorist attacks on the U.S. outposts in Benghazi in September 2012. Remarkably, Gregory’s interrogation failed to address any of the outstanding initiatives announced at CGI America 2014. (Or were they redacted?) Some were monumental and difficult to ignore beneath the CGI America logo flapping in the breeze. 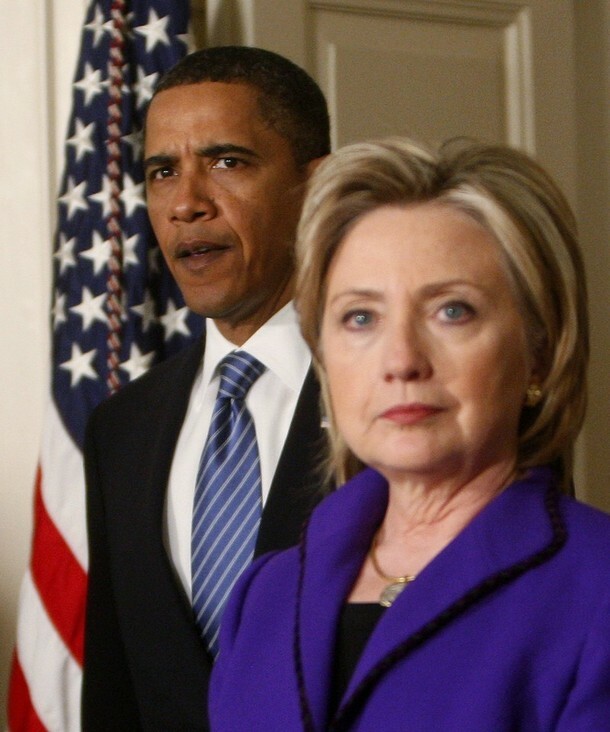 Here are a few that Hillary announced. Clearly her record speaks for itself on the topic of being “in touch.” Mr. Gregory could do with being a bit better in touch himself! Such a life of privilege and leisure! The Secretary called her return to Foggy Bottom to close down her operations “bittersweet.” Indeed it is for those of us who have closely followed her tenure. 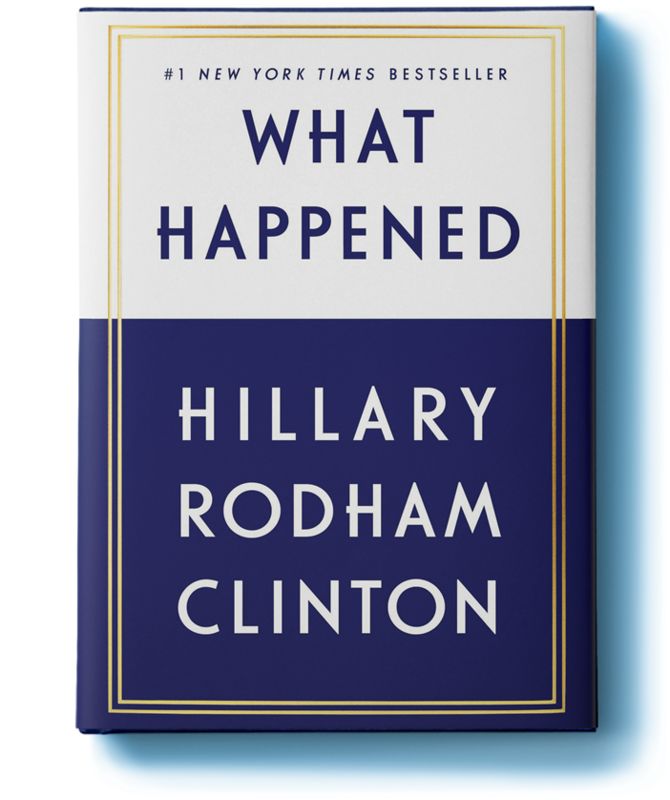 Many will remember how, notified of the earthquake in Haiti, she cancelled a trip to Asia and flew back to D.C. from Hawaii three years ago. She was the first foreign official on the ground in Port-Au-Prince just days after the quake. On this third anniversary of the earthquake that devastated a country dear to Secretary Clinton’s heart, the State Department issued this amazing fact sheet of what her State Department has done to help. 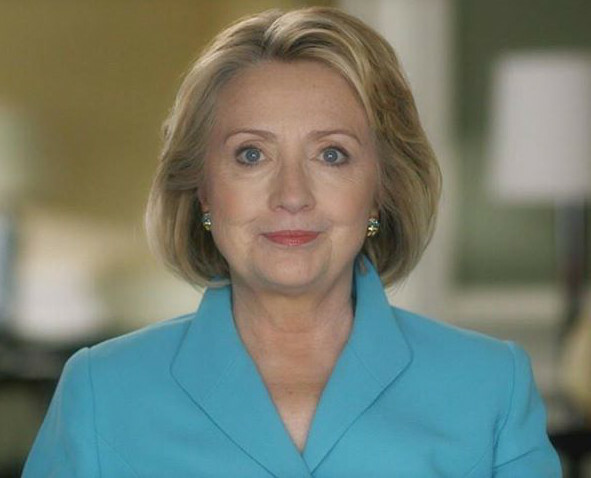 In early 2009, Secretary of State Hillary Rodham Clinton made Haiti a foreign policy priority and committed to working to change the way we partnered with Haiti. For more than three and a half years, the U.S. Government (USG) has worked closely to be a good partner to the government and people of Haiti. After the devastating earthquake of 2010, the U.S. worked to support the Government of Haiti (GOH) and meet the most immediate life saving and life sustaining needs on the ground. For some time the U.S. pursued two tracks of engagement and has ensured that they complement one another: the first to address immediate humanitarian and emergency aid needs; and the second to continue to pursue a strategy to promote long-term sustainable development in Haiti. Below is a high-level overview of some of the U.S. contributions to help Haiti on a path to economic prosperity and political stability. 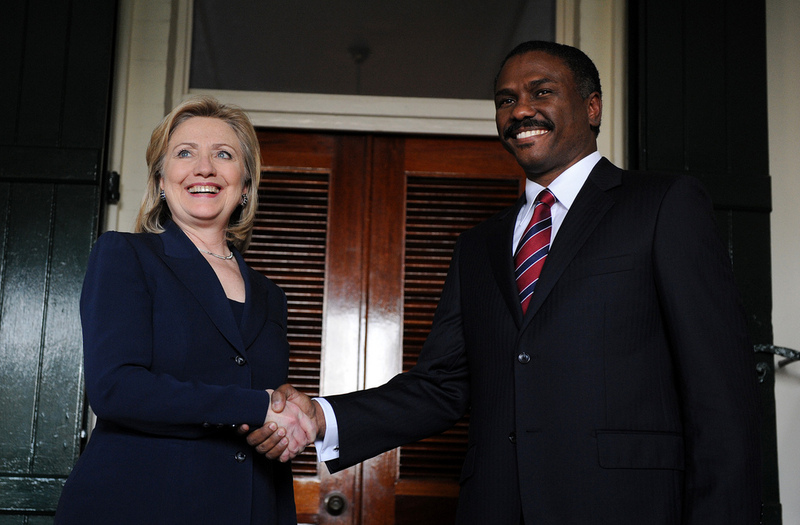 Government Stability and Capacity Building: The United States and other donors supported the Government of Haiti’s free and fair presidential and legislative elections in late 2010 and early 2011. These elections paved the way for the complete re-establishment of all three branches of government. The U.S. provided capacity building support, including the provision of experts to work within the Government of Haiti and the provision of temporary office space. As a result, the Government of Haiti has been able to lead more effectively in many areas of governance, including efforts to: combat crime; prepare for emergency responses to Hurricanes Tomas, Tropical Storms Isaac and Sandy; collect taxes; increase transparency; alleviate housing shortages; promote foreign direct investments; and expand basic services for Haitians, including in education and health services. Energy: Only 12 percent of the population has regular legal access to electricity. The Martelly Administration has made access to energy one of its priorities and views it as a necessary step in Haiti’s economic development. The U.S. Government, through USAID, is funding the services of an experienced management firm to help improve the commercial and operational sustainability of Haiti’s electric utility EDH. The firm is working with the utility to expand active customers by a third. Progress to date shows significant improvements in the utility’s financial performance and service delivery, having added over 20,000 households and business as active customers. The USG is helping to improve the reliability of electricity in Port-au-Prince through renovation of five electricity sub-stations. The project is expected to be complete by the end of February 2013. The USG commissioned a 10 mega-watt power plant in the north, contributing to reliable power for the tenants of the Caracol Industrial Park as well as houses around the park. The first households in the northern town of Caracol, which never had electricity before, were connected to the grid of the power plant in October 2012, designed to provide reliable power to residences and industry. The USG also launched a competitive tender in December 2012 [available online at www.FBO.gov] to design, build, and operate Haiti’s first industrial scale solar facility. This is part of an ongoing effort to work with Haitian partners to harness renewable energy opportunities. Housing: The United States has worked to address immediate shelter needs, including the removal of rubble to make space for shelter, as well as the construction of permanent housing settlements. To date, the Government of Haiti, the international community, private firms, and individual households have removed approximately 7.4 million cubic meters of rubble, or 74 percent of the rubble created by the earthquake. The USG has removed one third of this total. USAID-funded programs helped some 65,700 households (roughly 328,000 individuals) find safer housing through the construction of temporary shelters (29,000), rental vouchers, and housing repairs (6,000). The United States is currently constructing two new settlements, with construction underway of 750 homes in the north near Caracol and 156 homes near Port-au-Prince in the Saint Marc region. The next five settlements of approximately 1,250 houses, where all engineering designs, environmental studies and water tests have been completed and tenders are due to be launched shortly, will be developed together with a diverse set of partners such as the Qatar Haiti Fund, the Inter-American Development Bank, and the American Red Cross, enabling the United States to leverage resources for greater impact. Business and agricultural loans: Eighty percent of the credit available in Haiti is used by only ten percent of the borrowers. The United States has partnered with Haiti’s existing banks, credit unions, and other lenders to provide credit guarantees and help design new ways to lend to entrepreneurs and farmers. The United States has supported efforts to computerize data and processes for loan officers, in order to support approximately $21.7 million in loans disbursed to over 6,500 businesses. Agriculture: With more than 60 percent of Haitians reliant on agriculture for income, the United States has expanded its support in the sector through its global food security initiative, Feed the Future. To date the United States has worked with more than 9,700 farmers, introducing improved seeds, fertilizer, and technologies. 2012 results include a 58 percent increase in rice yields, 341 percent increase in corn, 100 percent increase in bean yields, and 21 percent increase in plantain yields. Our goal is to increase incomes for 100,000 farmers in three geographical focus regions over five years. Additionally, Feed the Future just launched the bean planting season at a cost of another $1 million, which will provide farmers with seeds and other inputs. Rehabilitated health clinics and reference hospitals in regional towns. The first tenant of the Caracol Industrial Park, Sae-A, one of the largest garment manufacturers in the world, already has 1,300 employees, most of them women who have never had a formal sector job before. Many are graduates of a new, nearby vocational training center that the USG built and supports. Sae-A is on track to reach the goal of creating 20,000 jobs by 2016. A second tenant, a Haitian company, has moved in September of 2012 and a third tenant is due to start operations shortly. Additionally, a new U.S.-funded power plant opened this year to serve the industrial park and surrounding communities. Nine buildings, including factories, warehouses, and offices, have been built. At least twelve new buildings are scheduled for completion in 2013, more than doubling the industrial park’s capacity. Health Services: Prior to the earthquake, the United States was providing access to health care for approximately 50 percent of the Haitian population; after the earthquake, the United States has been able to maintain this level of care. The United States provides a basic package of health services (primarily maternal and child health) and more sophisticated HIV/AIDS prevention and treatment services. The Haitian Ministry of Health and Population is working to achieve a sustainable network of health facilities. 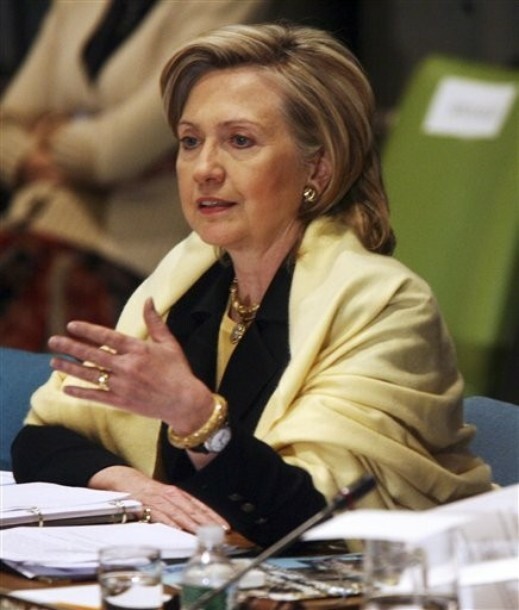 To help them realize this goal, the United States entered into the Health Partnership Framework with the Haitian government, which promotes sustainability by emphasizing country ownership and leadership, and includes a five-year plan that encompasses contributions of the government, civil society, the private sector, and other donors. The United States supports 251 primary care and 52 secondary care sites nationwide. The United States increased the number of eligible patients on anti-retroviral (ARV) treatment from 60 percent in March 2012 to 65 percent in June 2012. We are working with the Global Fund to Fight HIV/AIDS, tuberculosis, and malaria to reach universal coverage of ARVs for all eligible patients by June 2015. The United States recently convened the two largest umbrella networks of disabled people organizations to coordinate a single national strategy and move forward with plans to strengthen local advocacy groups. In addition, work is underway to establish four to six disabled service centers nationwide and to build government capacity to promote inclusion of people with disabilities in policy and legislation. Through June 2012, the United States provided expertise and more than $95 million during the emergency phase of the cholera response. Education: President Martelly has identified free and universal education as one of the key priorities of his administration. Since January 2010, the United States has constructed more than 600 semi-permanent furnished classrooms and provided teaching and learning kits enabling more than 60,000 children and 1,200 teachers to return to school. Over the next two years, the United States will partner with the Haitian Ministry of Education to develop and test an instructional model in over 300 schools, reaching 28,000 students, and training 900 teachers. Providing equipment and technical assistance to reduce pre-trial detention and improve case management in targeted jurisdictions. Strengthening the Security Sector: The Haitian National Police (HNP) is Haiti’s sole indigenous security force. Improving and expanding the capacity of the HNP is critical to the Government of Haiti’s ability to maintain public order and protect vulnerable populations. The United States is supporting the recruitment and training of new officers, bolstering the counternarcotics unit, and providing communications equipment. The UN Stabilization Mission in Haiti (MINUSTAH) also helps promote a secure and stable environment in Haiti. U.S. support includes 100 UN police officers, 10 corrections officers, and nine military officers seconded to MINUSTAH. Providing job skills training, health services, and reintegration and repatriation assistance to Haitian migrants. 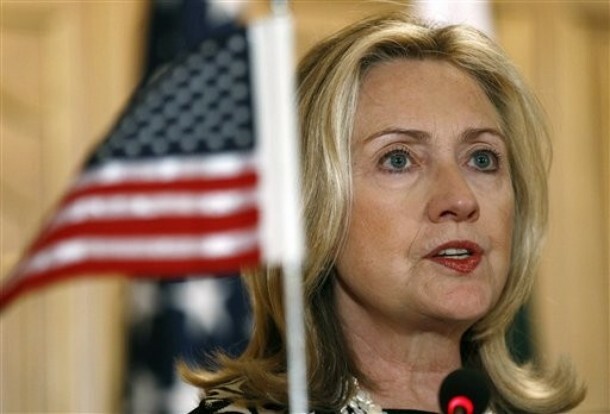 As always, even from her hospital bed, our Hillary remembers Haiti, a country dear to her and to me. On behalf of President Obama and the people of the United States, I am delighted to send best wishes to the people of Haiti as you celebrate your 209th anniversary of independence this January 1. As the second-oldest republic in the Western Hemisphere, Haiti blazed a trail of independence that has inspired others seeking freedom and dignity. For more than two centuries Haitians have met and overcome challenges, even in the most difficult circumstances. The United States is proud to be Haiti’s neighbor and partner today and in the years to come supporting Haiti’s work to ensure that every Haitian is able to live up to his or her god-given potential. May this year, and many to come, bring peace, prosperity and stability.